There’s no better night than a night that’s spent outside on a summer evening. But how will you enjoy it without a soft solar light brightening up the outdoor garden for you? An adequate outdoor lighting plan is necessary for every house. Since there are always two faces of every coin. The outdoor lighting also isn’t just about expensive electricity bill and ugly fixtures. 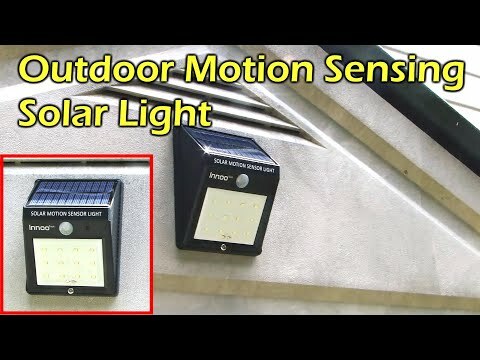 If you look around, (well, particularly here) you will figure out that many outdoor solar lighting ideas offer both soft, and unique lighting. Solar String lights are probably the best outdoor solar lights to use in an outside dining area. If you’re looking for both bright and romantic effect that doesn’t consume your electricity bill then led string lights are the answer for you. They are also very cheap and widely available in stores. Mason jars are known as the best solar garden lights for its softness and many repurposing ideas. I would recommend you to place small rocks or stones at the base of your jars underneath the solar light to increase its stability then hang from a tree. You can paint it to change the color of the light. Bring the brightest and best solar lights to your outdoor garden. Drop a solar light into an old indoors lamp and hang it on your patio. This one is unique, using a cut-tree to craft a standing solar lit lamp is one of a kind. It’s so easy to get creative with these old things you used to throw. Find a tin can you don’t want, paint it, decorate it with a hammer and nail. Place a small solar light at the base of it and hang it from a tree outside your door or set it on an outdoor table. Enjoy the cozy lighting in a quiet evening. A wooden votive holder would light your garden and also add a rustic decor effect that’ll fall in love for. A wooden votive holder is so easy to find and DIY especially if you’re used to cutting tree branches. You have the option to make an easy purchase from Etsy. But leave the joy of something you made with your own hand to true DIY lovers! You can easily DIY solar light with bottles. Solar led lights have its own reflection on the outside garden. These solar lit bottles, for example, can be hanged against a fence or a branch of a nearby tree. These are great solar light ideas for gardens and walkways. They also come with color variations besides white like yellow, green, red and blue. With these six superb outdoor solar lighting ideas, I leave you to more inspiration in the below gallery. Pin the ideas you wish to try for a later reminder!